Although the City of Houston, TX is responsible for producing safe water for its residents, water conditioner systems are still popular among local homeowners. Unconditioned hard water can leave an unsightly mineral residue on everything from dishes to laundry, but a simple ion replacement process can get rid of this buildup once and for all. Conditioned water is also easier on dishwashers, icemakers, and clothing washers. Many Houston homeowners find that their water-using appliances work more efficiently once their water conditioner system is in place; they may even notice a reduction in their energy bills. Plus, soft water keeps pipes free from calcium buildup, so your plumbing may require less maintenance over time. Because we know that no two families are the same, we offer multiple home water conditioner options to accommodate every possible preference. We’ll help you create a personalized water treatment system, based on your family’s overall water usage, the size of your home, and the mineral content of your local water. No matter what your water treatment needs are, there’s a RainSoft product to meet them! Even if you move your conditioner with you to a new home, you’ll be able to enjoy the benefits for years to come. Interested in learning more? Our Houston, TX local authorized dealer would be happy to provide you with more information about our water conditioner options. 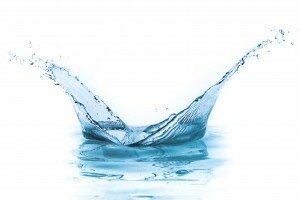 Call us today, and find out how we can make your good water great!